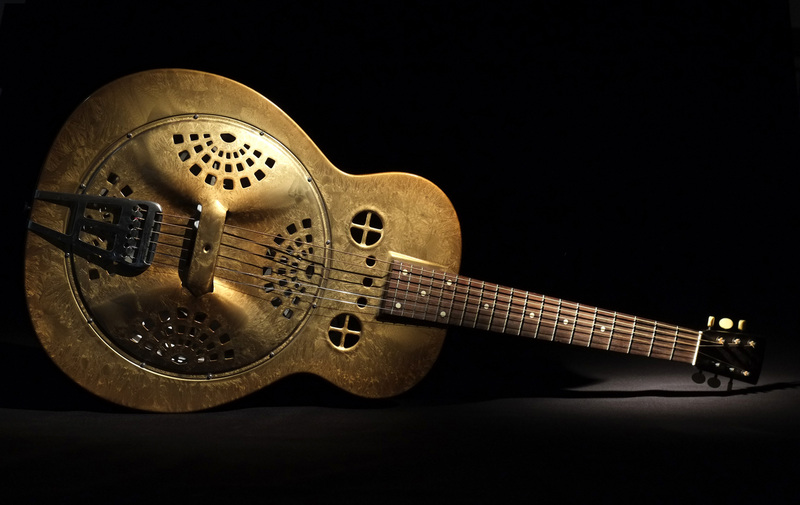 Here is a 1937 Dobro M32 all steel body, fiddle-edge refinished in gold. Plain gold is the most common color for M32s. And gold was the most common frosted duco too. Although there were nowhere near as many done in the frosted duco finish. This one has the original neck and 25″ scale fretboard. It also has the original stamped, lugged cone with the original short-leg, offset spider (offset for improved intonation). 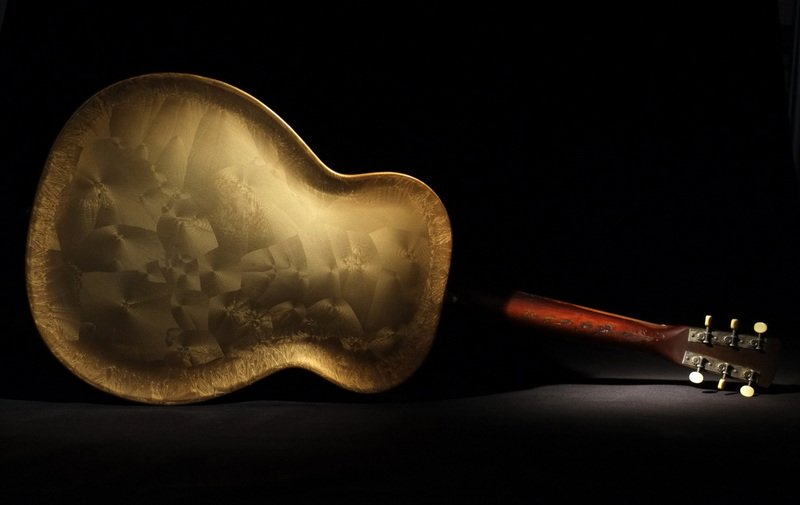 It still sports its original tailpiece and has been helped out with replacement vintage style three-on-a-plate tuners. 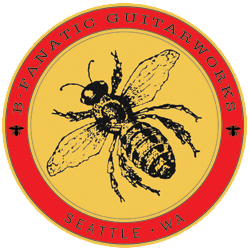 Finally there’s that cool B•Fanaticguitarworks’ bursted gold finish (slight red burst).